Help! 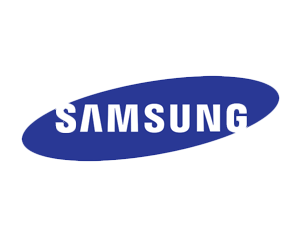 I Need Local Appliance Repair Near Me! 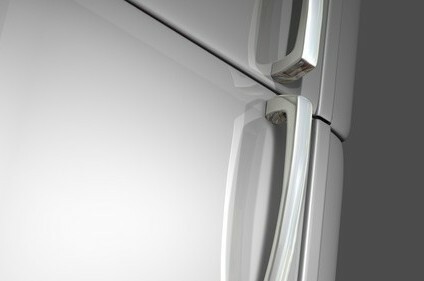 Refrigerators and Freezers: This is truly one of the most essential needs of the home. 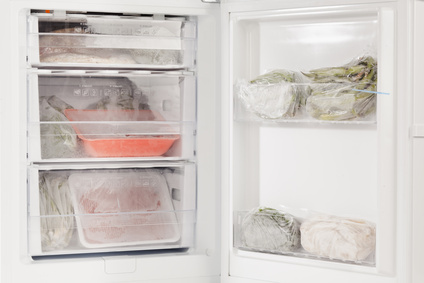 Food spoilage not only wastes money, but time as well! 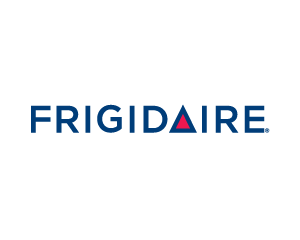 Families that do not have spare freezers in the home will need to get their refrigerators fixed as soon as possible. 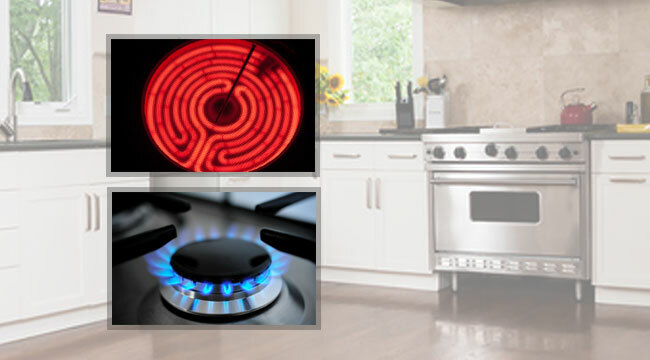 Stove and Ovens: While a night or two of takeout could prevent the need for immediate action, why put off stove and oven repair? 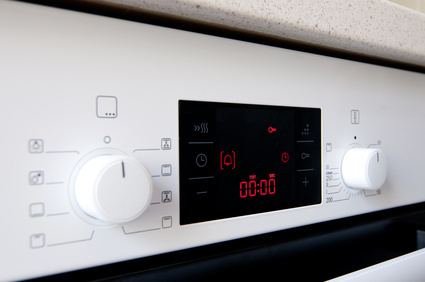 Depending upon the complexity of the job, oven repair is typically easy to do, regardless of brand. 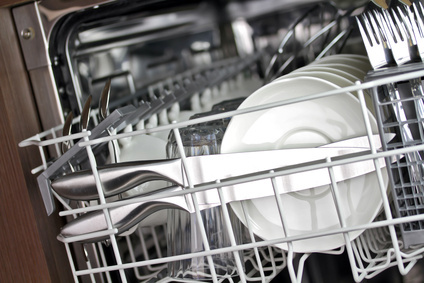 Dishwashers: Larger families know the importance of this appliance. Constantly cycling dishes for meals requires the need for speed. There’s hardly time to do them all manually! 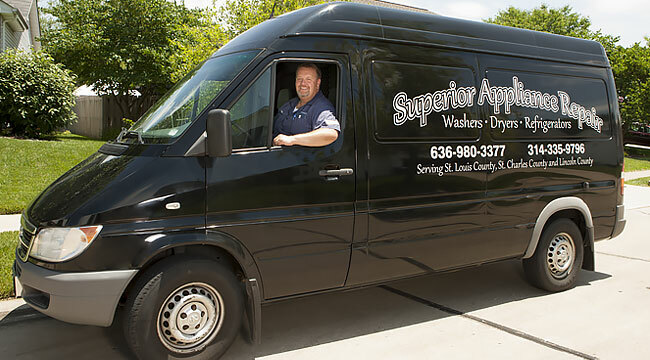 Superior Appliance Repair offers service to the St. Charles County, Lincoln County, Warrenton County and St. Louis County areas since 2007. 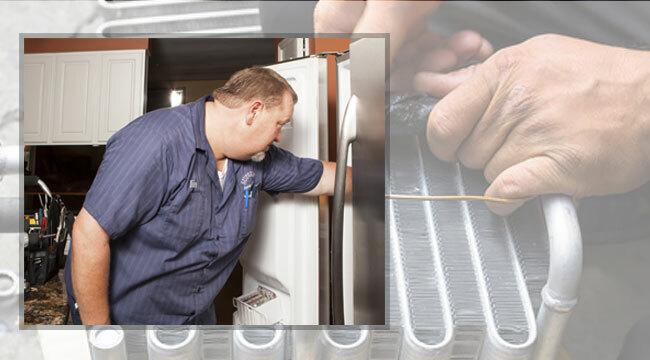 Superior Appliance Repair offers the best appliance repair, scheduling all services so each job gets the appropriate attention needed to ensure quality. Location is everything when scheduling repairs. If people you know or close relatives are not available, the right handyman should be in close proximity to you. Some local repair agencies may advertise that they are local, but in reality, it may be 48 hours or more before they are able to make it out from a more distant location than thought. 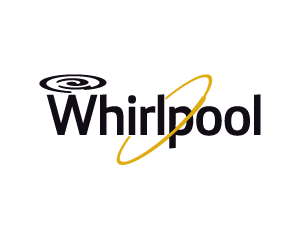 Looking for local appliance repair near your? Don’t hesitate to contact us today. 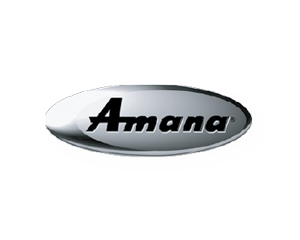 We Have The Experience & Tools To Handle Any Brand Name Appliance Repair. Jim did a great job repairing a dryer that was part of a stack-able unit in our condo. It wasn’t an easy job because of the tight work space but he did it with a smile on his face. And the charge had very reasonable rates. Superior Appliance Repair gets my vote! Thanks again, Jim. Jim was professional, friendly, and very fast. He diagnosed the problem within minutes and had my fridge up and running again in no time. I highly recommend his business. 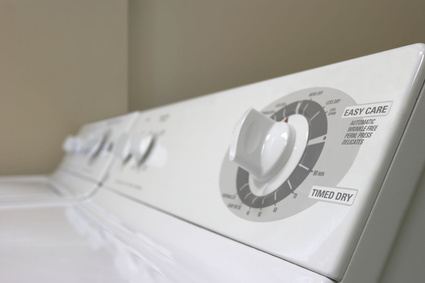 I have always had speedy and reliable service from Superior Appliance Repair. 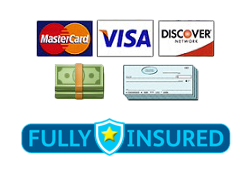 This company has fair prices and are respectful of your home. I highly recommend this company!! 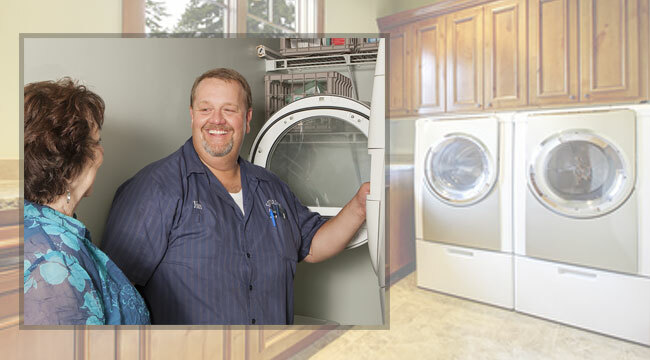 Superior appliance repair was wonderful–Jim was prompt, professional and provided an accurate estimate and cost. I would recommend his service. Thanks! I have used Jim for years now. Every time I need something he is willing to come and fix it. He is prompt and reliable. I have never had a problem after he has fixed something and would have to come back. 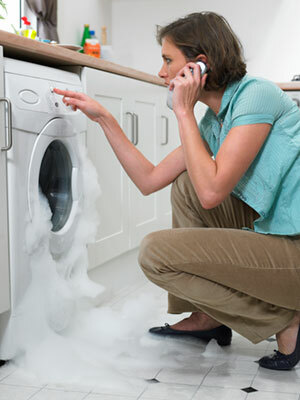 I would highly recommend Superior Appliance Repair for any appliances you may have. Jim is fantastic! Over the years, he has fixed my dishwasher, refrigerator, & HE washer. He is knowledgeable, patient & quick. EVEN after hours, I have texted him on other issues that I have had AND he gives me wise advice. He is available & has ALWAYS told me what I need. He has saved me money by doing ONLY repairs that I NEED. He is honest. 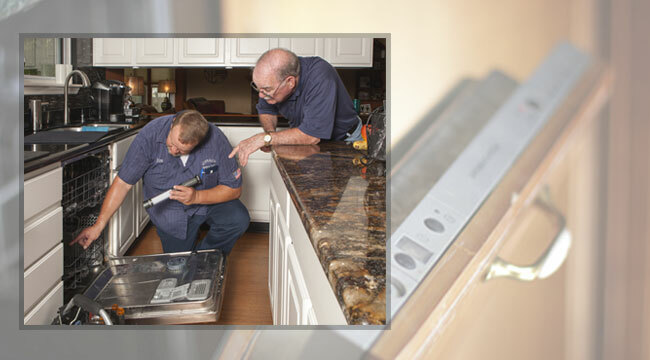 If I should replace the appliance, he has told me to not waste my money on a repair. It is RARE to find trustworthy people these days. Jim is one of them: TRUSTWORTHY and SKILLED. Thank you, Jim.You’re the best. broke and Jim was here the next day and was able to quickly identify the issue and fixed it. Highly recommend. Great job! Would highly recommend. On time, very professional. 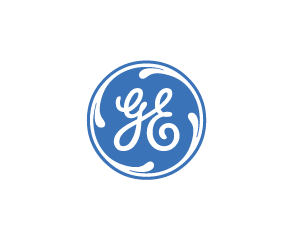 Same-Day Service and Fixed Both Appliances for One Fee! I wanted someone to come and look at two appliances. This company only charged one service call for both. 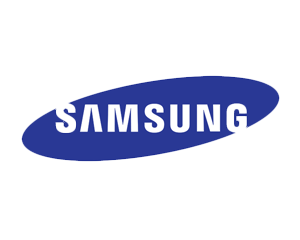 A few other companies wanted to charge me to look at the second appliance even though they were already in the home and I also new the problem and could tell them on the phone but they still were going to charge me so I did not go with them. 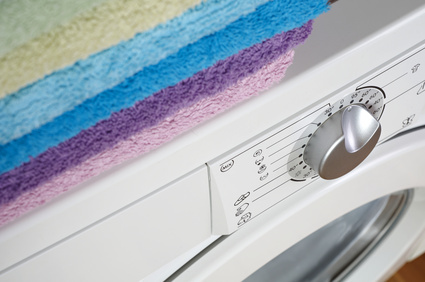 However, when I told Jim at Superior Appliance Repair what I thought was wrong, he listened to my concerns and even took more specific information about the second appliance so he would have the right parts needed with him. He came the same day and fixed both machines efficiently and quickly. The fees charged for same-day service, labor, and parts was fair. He also gave me some tips to help me use my drier more efficiently. I am very happy with my fixed appliances and am happy they are both working again. Great service! Fast and dependable and was there at the time he said he would be.